1 capsule per day or as recommended by a physician. To be taken with food. Room temperature out of direct sunlight. Keep out of reach of children. BioActive Q10 30 mg was launched in 1990 and was one of the first Q10 preparations on the European market. The soft light-proof gelatin capsules each contain 30 mg coenzyme Q10 dissolved in vegetable oil. The active compound has extremely good bio-availability due to the fact that the oil matrix in which it is contained has been submitted to a special type of heating that enables the molecules to dissolve completely. The superior bio-availability of BioActive Q10 30 mg is documented in many studies. The many years on the European market makes BioActive Q10 30 mg one of the most well-proven Q10 products. Coenzyme Q10 (or just Q10) is a vitamin-like substance. It's also known as ubiqinone (ubi is Latin and means ”everywhere”). BioActive Q10 30 mg contains vitamin C that contributes to a normal energy-yielding metabolism. When a cell needs energy it converts fat, carbohydrate, protein, and alcohol to the ATP (adenosine triphosphate), a molecule that stores energy in its chemical form. 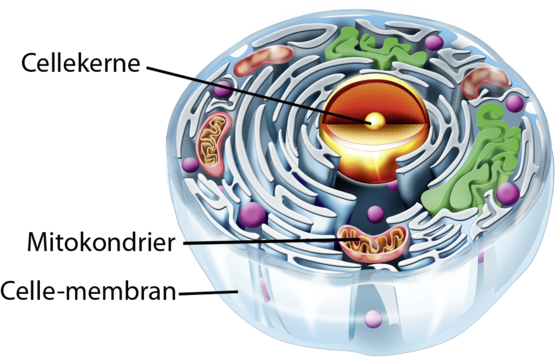 The cell breaks down the ATP molecule and releases the energy trapped inside. The entire process takes place inside the cells in some small bean-shaped structures called mitochondria. In all mitochondria coenzyme Q10 is found. Muscle cells are particularly dependent on large amounts of energy, which is why muscle cells contain substantially more mitochondria than other types of cells. The heart muscle is a good example of body tissue with cells that contain a large number of mitochondria and have a correspondingly large energy requirement. In addition, we humans are able to synthesize our own coenzyme Q10. Q10 is formed in the cells of the body, in the part called the endoplasmic reticulum. With increasing age or as a result of disease, the ability to produce our own Q10 declines. Experts believe that the body’s Q10 content peaks when we are 20-25 years of age. From this point onward, the endogenous production begins on a downward slope. Although it has not been established accurately the diet is thought to provide somewhere between 5-20 mg coenzyme Q10 daily. The body has its own 1 – 1.5 gram Q10 reserve, with most of the compound stored in the heart, liver, and kidneys. Q10 and cholesterol share the same biochemical pathway (cholesterol is also synthesized in the liver). Studies have shown how some cholesterol-lowering drugs inhibit the body’s endogenous production of Q10. Even long-term supplementation with Q10 does not affect the body’s endogenous production of the compound. There are no known side effects to coenzyme Q10, which makes it a very safe substance. There is more than 20 years of experience and scientific studies connected with the use of BioActive Q10 30 mg.